5 days | From 8300RMB/pers. Located in Dumaguete in the southern part of the Visayans, Atmosphere is one of the very best and friendliest boutique resort in the area. Nestled within the tropical gardens is a mixture of suites, garden apartments and penthouses scattered throughout the grounds, making relaxation and reflection a must. The resort was build with local materials and traditional designs. This place has a dive centre and is THE place to be for divers. Best time of the year is from November to May. Indulge yourself at Atmosphere for an unforgettable experience within the stunning Philippine archipelago. The hotel posess 14 suites, 8 apartments and 4 penthouses where you will relax on your hammock on your terrace while looking at the tropical garden. Opened since 2008 Atmosphere Resorts & Spa is opposite the famous Apo Island Marine Sanctuary. It is a great choice if you look for the best diving and snorkelling spots over the area. Atmosphere is located thirty minutes south of Dumaguete by car, in the coastal town of Dauin. 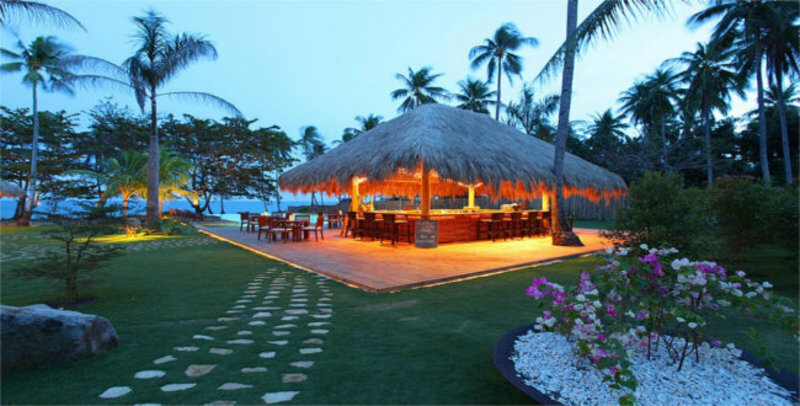 The resort is close to the islands Apo, Cebu, Bohol and Siquijor.